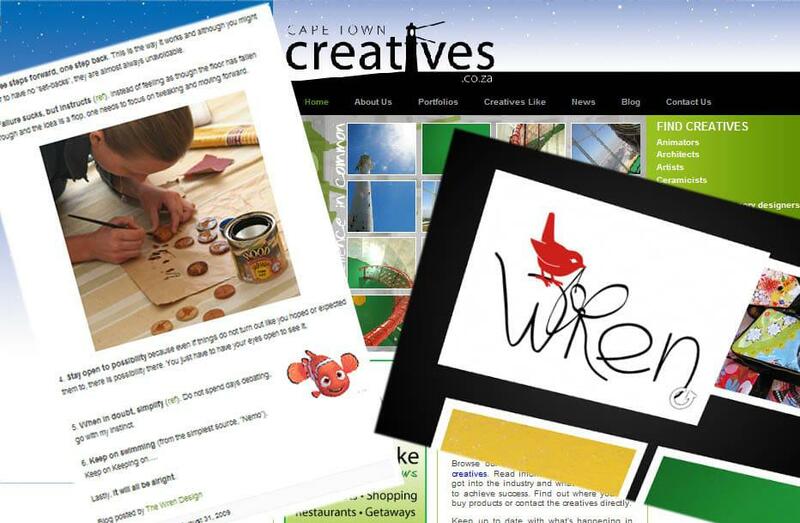 capetowncreatives.co.za is a new site showcasing some of Cape Town’s best creative talent cross a collection of genres. Lucky for me, Wren is listed there (see the Wren portfolio). I have also written a guest blog post for them about ‘Persevering through creativity’ which reflects on where I am at the moment. Ive got half a dozen half completed projects, all of which are on the road to becoming awesome new Wren products. This is an exciting time but this road can also be less than fun as technicalities of design, production and price need to be ‘ironed out’ (pun intended). It is much more fun to come up with the ideas. Visit the ‘creativity thinks’ blog to read my guest post. This entry was posted in Blog and tagged Cape Town, cape town creatives, creative blog, creativity thinks, persevering through creativity. Sounds interesting, definitely going to check it out!